Big game in the NHL tonight that could be a preview of the Stanley Cup Finals. The Calgary Flames have completely turned things around this season and are currently in a four team mix atop the Western Conference. They face a tough road game tonight, however, as they travel to the ‘Cigar City’ to take on the Tampa Bay Lightning. The Lightning have basically run roughshod over the entire league this season and are on cruise control atop the Eastern Conference. Tampa Bay has a 14 point lead over the New York Islanders in the conference and lead in the race for the President’s Trophy by 11 points over the West leading San Jose Sharks. Tampa Bay’s offense sputtered last weeks as they won two road games but lost two straight at home. In that four game stretch they scored a total of six goals and an average of 1.5 goals per game caused some concern. The Bolts are the top scoring team in the NHL, after all, but based on the result of their previous two games–a 5-4 home win over Pittsburgh and a 5-2 road win at Florida–the scoring drought may have ended. Just in time since they’re facing a Calgary Flames team that is also very adept at putting the puck in the net. Calgary is currently the #3 ranked scoring offense in the NHL putting up 3.67 goals per game. Tampa Bay has an edge on the defensive side but not as much of one as you might expect. The Lightning have the #6 scoring defense in the NHL allowing 2.77 goals against per game but the Flames check in with the #10 scoring defense in the league at 2.87 goals against per game. That’s something new for Calgary since defense and goaltending has been their primary liability in recent years. 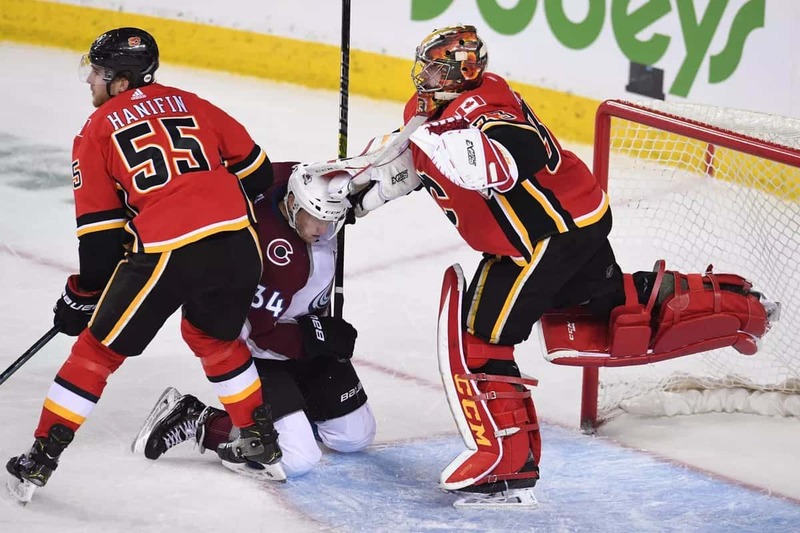 Much of the improvement has been due to 26 year old Czech goaltender David Rittich who has taken over the starting job from veteran Mike Smith. Rittich has been excellent this year with a record of 20-4-5, a 2.55 goals against average, a 0.915 save percentage and one shutout. Rittich will face the Lightning’s starting goaltender Andrei Vasilevskiy who has been equally sharp this season. Vasilevskiy is 22-7-4 with a 2.44 goals against average, 0.926 save percentage and four shutouts. Both teams should be well rested–Calgary last played on Saturday night with the Lightning last playing on Sunday. Head to head play has been very evenly contested. Tampa Bay won the only previous meeting this year taking a 5-4 win in late December at Calgary. The teams split a pair of games last season with both winning on the other team’s home ice. Overall, Calgary has won the last two trips they’ve made to Tampa Bay. This should be a great matchup between two of the top teams in the league. What doesn’t seem right is the price. The December game at Calgary was a ‘pick’ and Tampa Bay is a -155 favorite in this matchup. The Lightning have been very good at home but Calgary’s road performance has been decent with a record of 17-10-4 on the season. The home team looks to be a bit overvalued in this matchup and as a result we’ll take the price with the Flames.